Everyone looking for a new car, truck or SUV knows Ford is the best company with which to start and end your search. That’s because new Ford cars, trucks and SUVs are some of the most powerful, capable, efficient, dependable and feature-filled models available. The same is true for Ford’s commercial offerings. 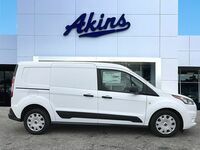 And that’s especially true for the 2019 Ford Transit Connect Cargo Van, which we have right here at Akins Ford near Atlanta, GA.
That’s because the all-new Ford Transit Connect Cargo Van lineup has been fully upgraded, updated, enhanced and improved for the 2019 model year. Those augmentations include a slew of new safety and driver assistance features, all of which make the 2019 Transit Connect Cargo Van the most feature-filled model in its class. New safety and driver assistance systems for the all-new Transit Connect Cargo Van include automatic emergency braking, a pre-collision assist system with pedestrian detection capabilities, a side wind stabilization system, a rearview camera, a blind spot information system with cross traffic alert capabilities, a lane keeping system, and an adaptive cruise control system. 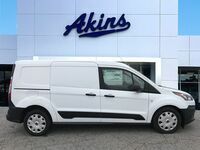 The 2019 Ford Transit Connect Cargo Van offers a trio of powerful, capable and efficient engines to choose from – including the only diesel engine option in the segment. That engine is an all-new 1.5-liter EcoBlue diesel engine. 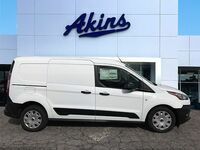 The other engine options for the all-new Ford Transit Connect Cargo Van are a new 2.0-liter inline four-cylinder gasoline direct injection engine complete with auto start-stop capabilities, and a new 2.5-liter inline four-cylinder engine. The latter is exclusively for fleets and will feature an available CNG/propane gaseous fuel prep package. Now let’s check out the impressive capabilities of the 2019 Ford Transit Connect Cargo Van. The all-new Ford Transit Connect Cargo Van can tow up to 2,000 pounds, and its 180-degree swing out rear cargo doors and wide and flat load floor making loading up its massive cargo area a breeze. And you can put pretty much anything you want in there thanks to its best-in-class payload rating. 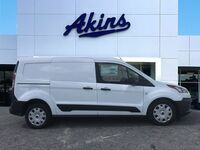 For more on the 2019 Ford Transit Connect Cargo Van lineup, please don’t hesitate to get in touch with our friendly and knowledgeable staff here at Akins Ford near Atlanta, GA. 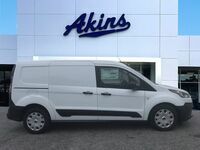 Interested in a Ford Transit Connect Van?